A visitor that leaves your site after browsing for a while is not necessarly a lost sale. As big webstores like Amazon teach us, sending a remind e-mail to registered visitors that leave your e-shop after they stopped on a specific product or category, or after they even added a couple of items to their cart, can dramatically improve your sales. AutoMailer allows you to send timed and event-driven e-mails to your customers with the goal to increase your sales in different scenarios. After a visitor completes a purchase on your store, becoming your customer, the chances to have him return and buy again from you rise (especially if he was satisfied of his previous purchase). Thus, from time to time it's extremely useful to remind him that he can find great products on your store, and select some of them that, according to his previous purchases, seem particularly interesting. AutoMailer allows sending a timed e-mail that promotes a list of products that the customer may be interested in, being them cross-sells of its latest purchase. A lot can happen during the e-shopping session of a potential customer: he can be interrupted, he can get lost comparing products or prices, etc. In fact, it's not unusual for customers to add a product to their cart and never complete their purchase. This means a loss in conversion that could be limited simply reminding to the client their cart after they leave your webstore. AutoMailer allows you to send a timed e-mail that invites the customer to complete his order, with the possibility to give him a discount coupon to further incentive their purchase. Reviews acts like a social proof not only for the products on your webstore, but for your webstore itself. Unfortunately, it's very difficult to have yor customers leave a review of a product they purchased. 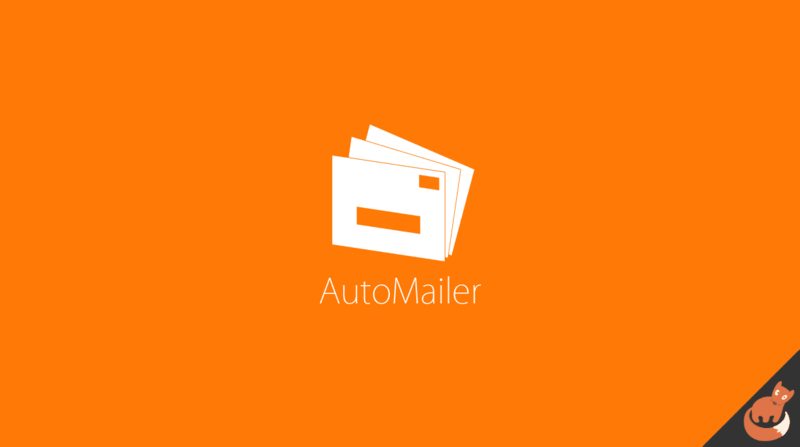 With AutoMailer, a timed e-mail can be automatically sent to the customer (after their purchase is completed and some days have passed by) asking for a review on his latest purchase. The extension is based on cron jobs and it checks every 15 minutes if it has to send new communications to your customers. You can create as many e-mails as you need and associate them to one or more specific store. In this way you will be able to manage communications across multiple multilingual websites. For each e-mail you can specify after how many hours they have to be notified. AutoMailer gives you the ability of adding flat or percentage coupons to your e-mails, allowing you to give your customer another good motivation to purchase from your website. The content and the style of the e-mails are 100% customizable.